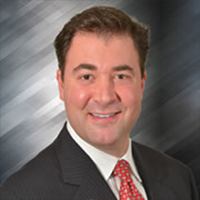 Michael Izzi, a Pennsylvania native, began his career as a graduate of Penn State in Business Management with interests in Marketing and Finance back in 2000. Gaining experience in mortgage sales he obtained great respect within the industry. He is a self-motivated mortgage professional with over 15 years’ experience. Recently in January 2016, Izzi joined Mortgage Master, a division of loanDepot – the second largest nonbank retail lender in the country. Izzi is motivated to get people into honest loans at competitive rates, in the most timely and efficient manner. He believes that the secret in this profession is to treat everyone like family, hence how the majority of his business is referral-based. Building relationships is the heartbeat of his business and he would be proud to have the opportunity to earn yours. When Izzi is not busy tending to the needs of his clients, he enjoys playing volleyball, golf and cheering for Philly sports teams. He is also the proud father of triplet daughters who are now 2 years old. loanDepot.com, LLC. d/b/a Mortgage Master. All rights reserved. NMLS #174457 (www.nmlsconsumeraccess.org). Licensed by the Delaware State Bank Commissioner #11162.; Mortgage Banker licensed by the New Jersey Department of Banking and Insurance licensed as loanDepot.com, LLC dba Mortgage Master; First Mortgage Banker by the Pennsylvania Department of Banking; For more licensing, please visit www.mortgagemaster.com/licenses.